“You have an accent. Where are you from?” Whenever I meet someone, I am almost invariably asked this question. The answer is that I come from a fairly unusual background. I was born in Paris, France, one of two children born to an extremely mis matched couple. 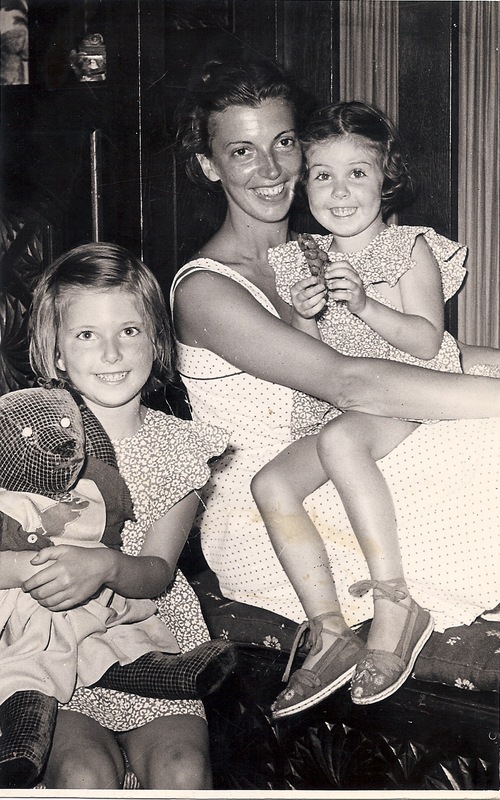 Mom was a young, sheltered, upper middle class Uruguayan woman of twenty, and Daddy, in his middle thirties, was an expatriate Canadian of Scottish descent, a Francophile who elected to practice osteopathy in Paris. During World War II, Daddy fled just ahead of the Nazis. He then took an extended trip and ended up in an Uruguayan resort watching a troupe of dancers which included an exotically beautiful young girl: my mother. After a mere three-week courtship, they were married, and soon after, on a boat to England. It was a disaster from the start, but in those days nice young Uruguayan girls didn’t get divorced. So when they reached England they separated. Mom joined the Women’s Auxiliary Air Force in Scotland, eagerly becoming a part of the war effort—she was, after all, half-British. But when Daddy got lonely in his London flat, he demanded her return, and very shortly Mom was pregnant with my older sister, then with me. 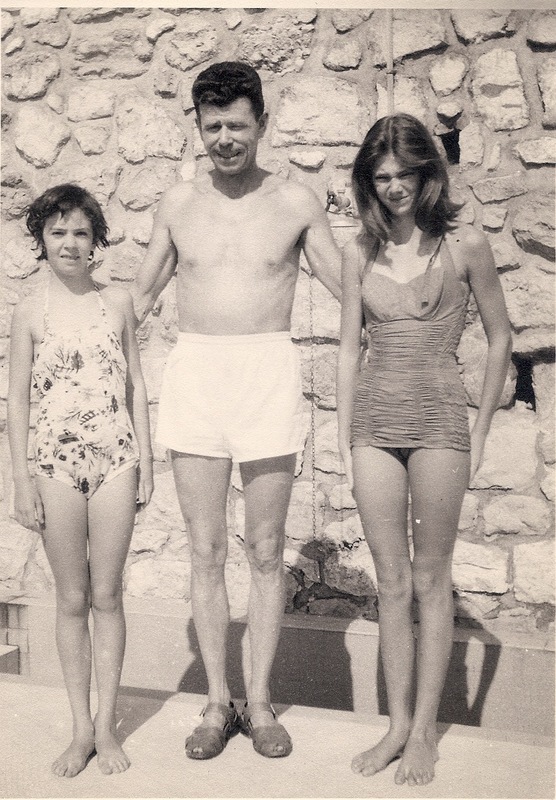 I was born in post-war France and raised as a typical French schoolgirl, though we spoke English at home. Then one day my unhappy mother met a man she fell deeply in love with, an American. She would have stayed in her loveless marriage for the sake of her daughters, but when she became pregnant she fled to marry her love in the United States, taking us with her. She married my stepfather and gave birth to my younger sister, then my baby brother. We lived in New England. There ensued a trans-Atlantic custody battle of epic proportions which was to last seven years. My older sister and I were home-schooled while hiding from my father, who pursued us relentlessly with plans to abduct us. When I was eight we spent an idyllic summer in an isolated cottage in the White Mountains of New Hampshire. With no radio, no TV, we read. My stepfather read us Animal Farm and explained all about communism, and my mother read us the Iliad and the Odyssey. From that summer sprang my lifelong fascination with the legends and history of ancient Greece. My father eventually earned visitation rights, and shortly after, abducted my older sister and me, keeping us hidden in France. It took my mother six months to find us and bring us home. The next year we moved to Berkeley, California. Then my father sued for custody. After a prolonged court battle, my mother retained custody of us, but not before she spent time in jail for refusing to meekly hand us over. When I was seventeen my stepfather died, and my mother struggled to support her four children. 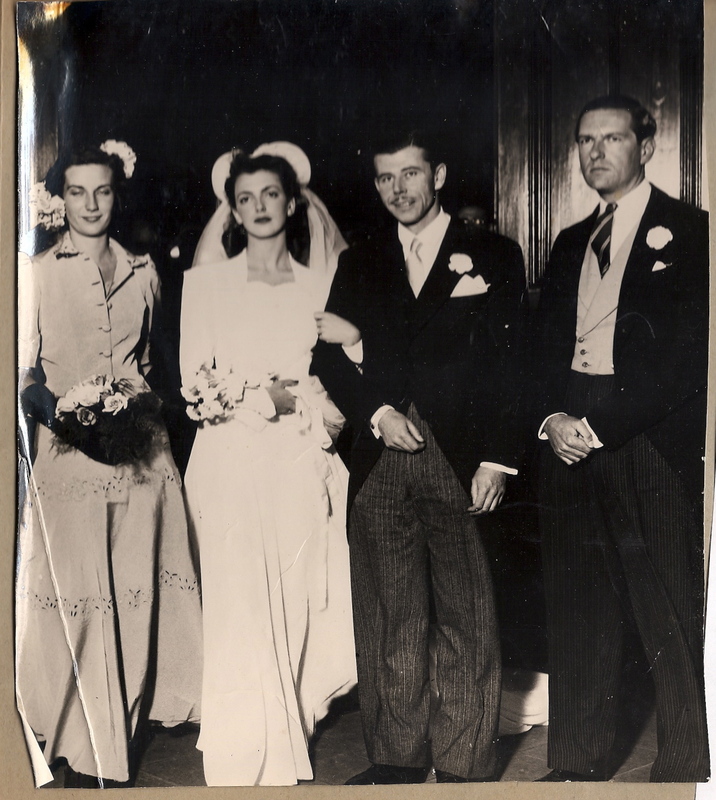 A few years later she married an old friend, the New Hampshire judge, now a widower, who had helped us during past troubles. Our family was enlarged once more. His daughters, whom we had played with as little girls, came to be our new stepsisters. 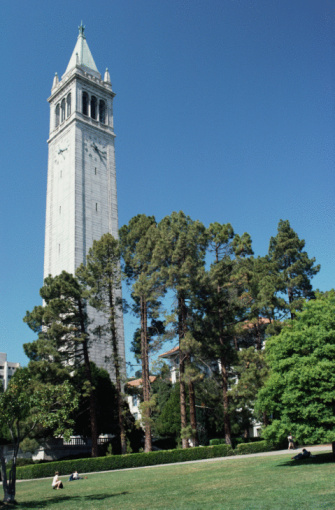 I attended the University of California in Berkeley, got married, became the mother of two children, and embarked on a long and satisfying career as a junior high English teacher. Somewhere in those turbulent childhood years, the writer in me was born. I would entertain myself by telling myself stories, and when things were difficult this was my only solace. By age twelve I was writing my stories down. As a young adult I discovered that I wanted to write novels, but child-rearing and my career and often got in the way. Now happily retired, I have written three novels and a memoir. Shadow of Athena is due to be the first one published.